On August 30, 2018, Advanced Bionics announced its new HiRes Ultra 3D cochlear implant that is MRI compatible (up to 3 Tesla MRI strength) without removal of the implant's internal magnet and without the need for a head bandaging protocol during MRI scanning. The new internal magnet design results in no pain and no need for special head orientation during MRI scanning. The Ultra 3D cochlear implant magnet provides 3D magnetic field alignment and eliminates the need for surgical removal of the magnet, head bandaging, or restrictions on head orientation during MRI scanning in order to permit a a high-resolution MRI study. The unique 3D magnet is composed of four rotatable magnet rods encased in a revolving disc that allows the magnet to provide alignment with MRI magnetic fields in all three dimensions (X, Y, and Z axes). The magnet is removable and can be replaced with a non-magnetic spacer through a small incision made prior to an MRI study. HiRes Ultra 3D magnet that has been tested to keep working even after two hundred 3.0 Tesla MRI routines. The unique cylindrical magnets provides magnetic field alignment and adjusts to variations in the MRI magnetic field. For other MRI situations, i.e. 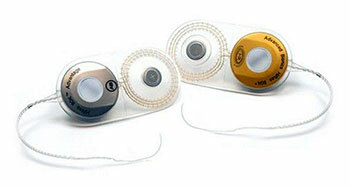 if the recipient has two different types of Advanced Bionics Cochlear Implants (e.g. 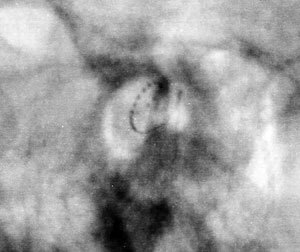 HiRes Ultra 3D and HR90k Advantage), the recipient must inform the MRI professional of the type of implants. If the recipient is not sure of the implant type, please contact the recipient’s cochlear implant clinic, the local AB office, or contact Advanced Bionics Technical Support. ABC & Phonak are the HiRes 90K implants. 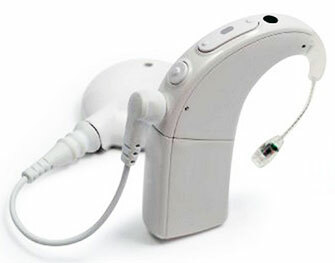 Advanced Bionics Corporation (ABC) has announced its newest cochlear implant sound processor, the Neptune. 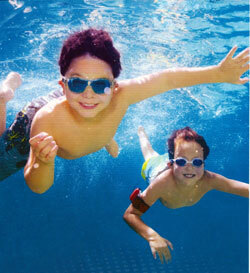 The Neptune is the world's first waterproof CI sound processor and has been approved by the U.S. FDA. 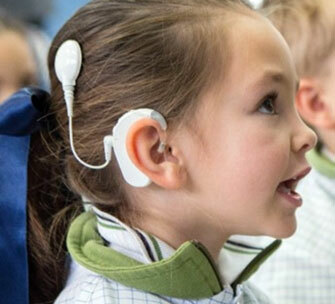 Now, patients being implanted with an ABC cochlear implant will have the choice of wearing either the Harmony (non-waterproof) or the Neptune (waterproof) sound processors. If hospital practices and insurance reimbursement is supportive, patients will have the opportunity to purchase dual-sound processor systems i.e. two Harmony SP's, two Neptune SP's, or one of each. Being waterproof, one can swim or bathe with the Neptune! Hearing is still delivered during these important times, especially for babies and young, active children. The Neptune is a free-style design so that nothing is worn on the outer ear. The Neptune may be worn in the hair, on the arm, under their collar, or in their pocket without compromising hearing performance. The Neptune design is tough and rugged. It carries an IP68 rating that offers maximum protection against solid particles and various forms of moisture. CI patients now have an opportunity to hear in all weather, all sports, and all terrain. Neptune includes ABC's ClearVoice™, HiRes Fidelity 120™, and AutoSound™ technologies. 1.Technical Specifications. 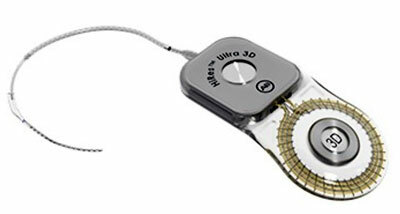 HiRes™ Ultra 3D Cochlear Implant. 2018. 028-M960-03 RevB. (related to HiRes Ultra 3DMRI compatibility). To learn more about Advanced Bionics CIs, visit their website at www.advancedbionics.com.